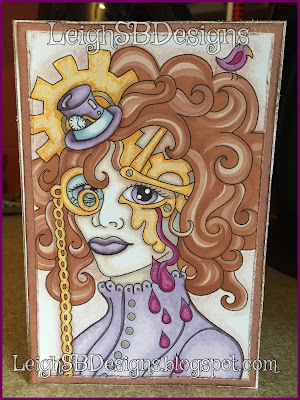 Velvet Paw Creations: Forever Steampunk! 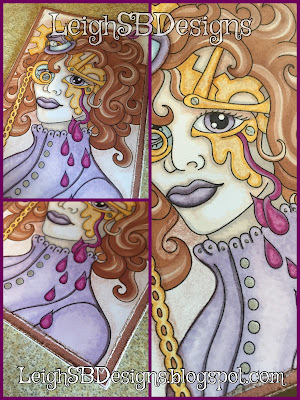 Today I'm sharing another project I made for our January challenge over at Forever Dark Challenge blog! 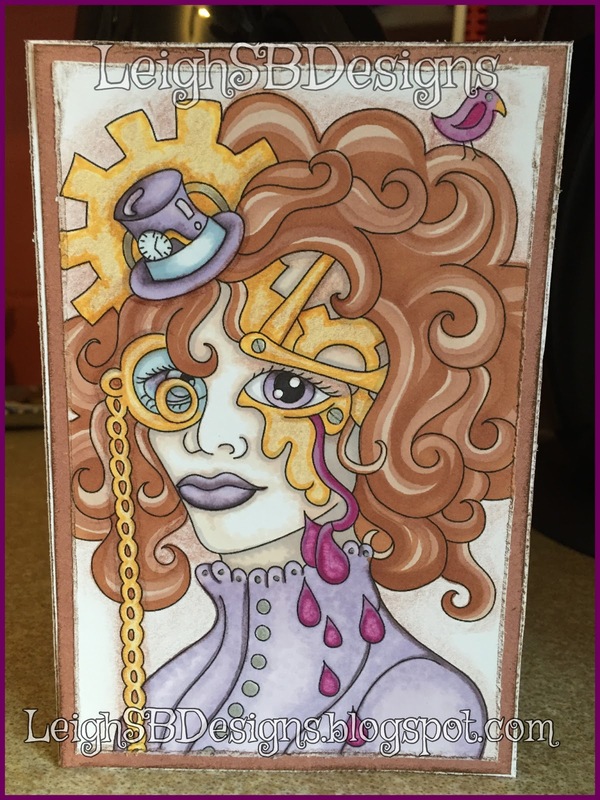 Challenge #8 is Anything Goes as long as it's Dark with a twist and January is STEAMPUNK! One of our clawesome sponsors this month is That Craft Place and I had the pleasure of creating with Blue Bird..
She's coloured with Promarkers and metallic silver details added with a gel pen. The background and the distressed cardstock edges are coloured with a brown Prismacolor pencil. Come and join us over at Forever Dark Challenges!